The next several items on my list are a bit more in line with my regular reading habits than the action-fest that is Jonathan Maberry. 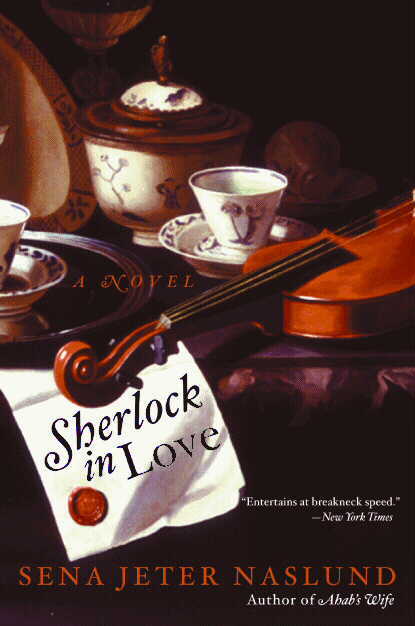 #10 Sherlock in Love by Sena Jeter Nausland. Dr. John Watson, now in his twilight years, has decided to write the definitive biography of Sherlock Holmes. His little adventures have been put down to paper, but a truly in-depth analysis of the man’s personal life has never yet been penned. However, shortly after he places an advertisement in the papers asking for any stories about Sherlock Holmes strange things begin to happen. He starts to see a figure who looks very much like Holmes shadowing his steps. People begin to warn him away from his project. Several of his case logs are stolen and pages are removed from others. Eventually, even the illusive Irene Adler shows up to warn him off. However, Watson is dedicated to his project. He feels that he cannot rest without the world having the opportunity to know his friend as he did. Somehow, everything that is happening seems to revolve around a curious period of their acquaintance when Holmes began taking violin lessons. Those lessons led to several abrupt trips; first to Edinburgh and then to Bavaria where adventure and tragedy were to be found in equal measure. The more Watson digs into those events the more he realizes that there was a part of Holmes that he had never seen. This book is quite fun for a Sherlock Holmes fan. Interestingly, out of everyone at my book club, I was the only one who had read any of the original Conan Doyle stories. That was fun to discuss. I will say, I figured out the direction the story was going fairly quickly, but that didn’t really stop me from enjoying it. The resolution is a bit surprising and will probably offend some Holmes fans. I think even so, it’s worth a read. I picked this book up from Audible during one of their sales. I had actually had an advance review copy kicking around my house for years, but somehow I never quite got around to picking it up. But, I needed a new audiobook and this tickled my fancy for some reason. And, I must say, I made a good decision. 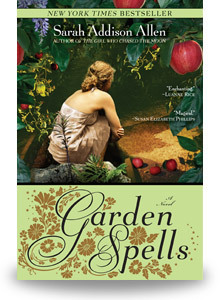 The book is a little reminiscent of Alice Hoffman’s Practical Magic, but with a southern bent. The book is set in North Carolina. All of the Waverly women have a gift. Some of them are more useful than others. Evanelle Waverly might give you something. It could be anything; two quarters, a rain hat, a new shirt, a mango peeler. The thing is, you’ll need it. Somehow, some time in the near future, you’ll need whatever it is that she gives you. Claire Waverly takes care of the family garden. She can use the herbs and flowers in her cooking to bring out particular emotions and memories. Her rose geranium wine will make you remember the happiest times of your life. Sydney Waverly is the family black sheep. She left town right after high school and hasn’t been seen since. The Waverlys are a breed apart. Even though everyone in town has something a little bit different about them, the Waverlys are special. They’re special because of the apple tree. The apples from the tree in the Waverly garden will reveal to you the most important moment of your life. Sounds great, but you have to remember that it doesn’t show you the happiest moment, not the best moment, just the most important. What if that’s your death? What if the most important moment of your life has already happened? What would you do then? The Waverlys are the guardians of the tree. They make sure that no one ever eats those apples. Some people think they’re keeping them for themselves. Some people think it’s all a bunch of hooey. But the Waverly women keep guarding the apples. Then Sydney rolls back into town and upsets the whole system. My only complaint about this book is that the ending seemed a little rushed. The story for the most part unrolls like honey; clear, and slow, and sweet. But then, all of a sudden, Sydney’s storyline gets resolved. It’s like you were expecting pound cake and got flaming baked Alaska. Still good, just unexpected and much flashier than you were prepared for. I would absolutely recommend the book. It’s got a little bit of steamy stuff, but not so much I’d shelve it in our romance section. There’s enough of an edge of danger to keep you on your toes. And I really enjoy the way Allen builds the special attributes into the people of Bascome, North Carolina. It could feel forced with a lesser writer, but as it stands it creates a lovely, magical background for the main characters to act on. I really don’t know how to explain this book. Drew has done a pass at it over on the Little Professor website. I want to tell you everything, but I can’t because then you wouldn’t need to read the book. I want to explain Claire to you, but I can’t because I don’t really understand her. I know that I like her even though I’m not sure I’m supposed to. 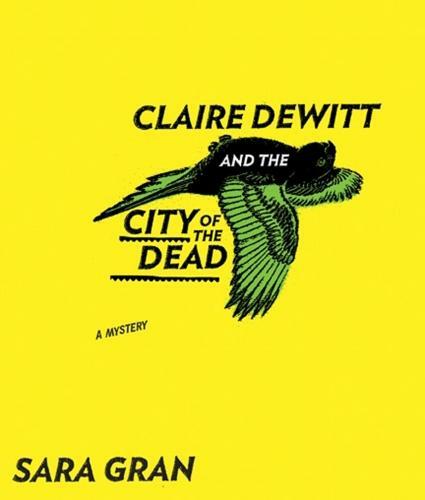 Claire DeWitt is a detective. Or, I suppose maybe she is a Detective. She lives to solve mysteries. She does not make friends by this. She does not want friends. She had friends once. There were three of them. One disappeared and the other two were consumed by that. She is their mystery. The unsolvable Holy Grail of a problem that, if ever resolved will probably destroy the detective. Claire is a follower of the french detective, Jacques Silette. He once wrote a book called Detection, which is like Claire’s personal bible. It only makes sense to the sort of person who can become his type of detective. Claire is one of those people. She found her copy of the book in the dumb-waiter of her family’s crumbling Brooklyn mansion. It was like it was waiting for her. It changed her life. Whether that is a good thing remains to be seen. The client, according to Silette via Claire, doesn’t actually want their mystery solved. They think they do. They swear they do. They believe that they do. But really, they don’t. To solve a mystery one must first understand the hows and the whys that the mystery occurred. Think about it. Think about everything in your life that has led you to this moment. Would you really want someone turning all of that up? Would you want someone to tell you all those things about the people you loved? Would you hate that person for telling you or your loved ones for making it happen? Are you sure you want your mystery solved? Claire finds herself in a post-Katrina New Orleans looking into the disappearance of Vic Willing, a New Orleans D.A. He went missing sometime during the storm. His nephew has hired Claire because she’s the best. What he really wants is reassurance that his uncle died accidentally during the craziness that was Katrina. But Claire doesn’t really do reassurance. She provides truth even when you don’t want it. For Claire, being back in New Orleans is a special sort of hell. She trained as a detective here until her mentor was murdered. Now she’s back. Claire is having to pick up the threads of a city that is still repairing itself and work her way back in. Her New Orleans is a grim, dangerous place. There are drugs, and gangs, and secrets, and hate. There is beauty, but it’s always tainted. Claire exists on an almost magical plain. Everything contributes to the investigation. The green parrots in the trees, a dirty business card on the street, the drugs she takes, the dreams she has, the thugs that want to steal her car; they’re all threads. I can’t really tell you why I like this book so much. Part of it is the writing. Gran has crafted something truly special. Part of it is Claire herself. I should hate her. She’s abrasive and self-destructive. But I like her. I don’t know that I’d want to hang out with her frequently, but I kind of want to give her a hug. She’d probably punch me though. This is supposed to be book one in a series, so I’ll get to spend some more time with Claire. Gran is a fairly slow writer, her books come out every few years rather than every year, so I don’t know when Claire #2 is coming, but I’m looking forward to it. I am under ADOW spell..can’t wait for next series to magically appear in my mailbox!! Love the jewels you are making.